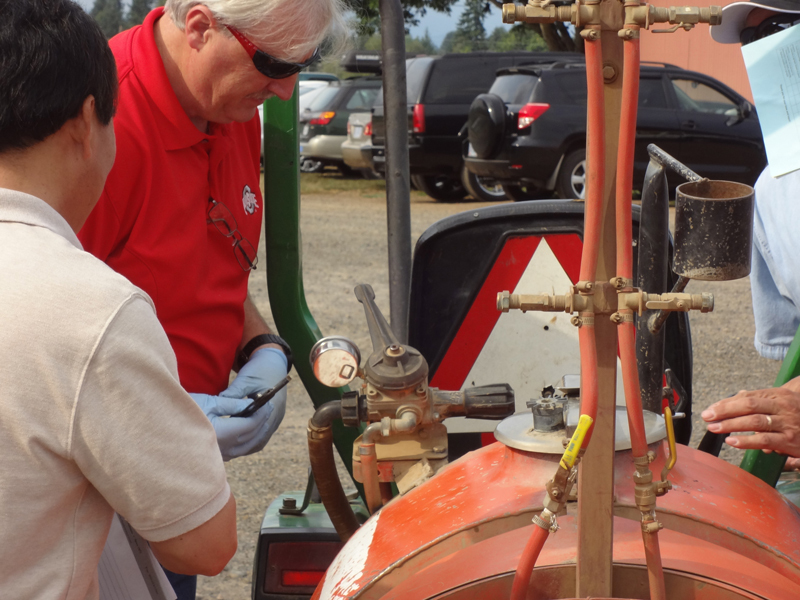 Clackamas County growers, you have the first chance to reserve your place for a hands-on workshop on sprayer maintenance, set-up, and calibration. This is a free workshop co-sponsored by Oregon State University Extension and Clackamas Soil and Water Conservation District. Review sprayer operation and care. Determine the fitness for use of the major components of boom and air blast systems. Learn how to set-up spray equipment to make efficacious, cost-effective pesticide applications that are restricted to the intended target. Demonstrate techniques and equipment to accurately determine sprayer output and speed. Participants will have the added benefit of receiving 4 core pesticide license recertification credit hours as well as the opportunity to bring in their pressure gauges for a free check-up! Clackamas County growers will have the opportunity to register first for this workshop, until September 30, 2015. Following that date, registration will be open to all. Class size is limited to 30, so do not wait to register! To register e-mail Peter Sturman at Oregon State University NWREC.